Coat by Schneiders Salzburg. 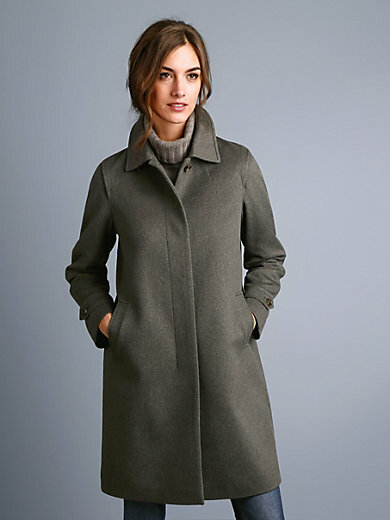 Stylish, classic and exquisite coat made from soft wool with a pretty drape. Elaborately fashioned in typical SCHNEIDERS SALZBURG style with a wide box pleat at the back, concealed button panel with single exterior button, horn effect buttons, banded pockets and cuffs with decorative tab. One buttoned inside pocket. 80% wool, 20% nylon. Lining in 51% acetate, 49% viscose. Length approx. 3ins. The coat should be dry cleaned.